How Do You Protect Your Computer From Getting Hacked? | Kanishk's Technical Blog. How Do You Protect Your Computer From Getting Hacked? Today, We'll discuss about "How Do You Protect Your Computer from Hacking." Hacking These days has increased very much so I decided to tell you all about How do you dodge the Hackers before they do damage to you or your Computer. So, First I'll tell you about all the Hacking Attacks that I know of. Read More About Denial of Service Attacks Here. Read More About Distributed Denial of Service Attacks Here. Read More About Sniffing Here. Read More About Spoofing Here. Read More About SQL Injection Here. Read More About Viruses Here. Read More About Worms Here. Read More About Back Doors Here. Read More About Trojan Horses Here. Consider the situation, everything you type in the system is mailed to the hacker..!! Wouldn't it be easy to track your password from that.. Keyloggers perform similar functionallities.. So next time you type anything.. Beware! Read More About Keyloggers Here. Brute-Forcring is sometimes the Most Tiring Job.A Brute-Force attack on a Network.It tries all the Password Combinations possible.Many Times,Brute-Forcing doesn't works because of Connection Times Out.I have Posted Some Information about Brute-Force Tools and How it takes Place Long Back.You can refer to it for more information. Read More About Brute-Forcing Here. According to a survey done by security companies, it is found that rather than helping the legitimate users the security questions are more useful to the hackers.A hacker Can create a Fake Account and act as being someone else and in the meantime will get your trust and ask your Personal Secret Questions like In which Village was Your Mother Born? What was the Name of your First Grade Teacher? On what street where you Born? On what street your father livend in his Childhood? etc etc.It is upto you to Dodge People like this and Block them if You Find them Suspicious. This was one of the oldest trick to hack.. Try to convince your user that you are a legitimate person from the system and needs your password for the continuation of the service or some maintenance.This won't work now since most of the users are now aware about the Scam. Read More About Social Engineering Here. 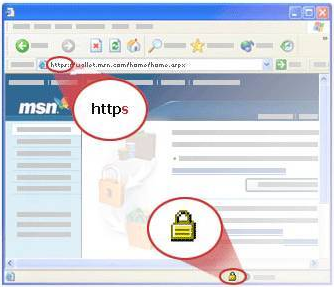 This is another type of keylogging, here you have to bring the user to a webpage created by you resembling the legitimate one and get him to enter his password, to get the same in your mail box.Most of the Users now are aware of this attack but a Elite Hacker can come up with different ways of Phishing attacks. Read More About Phishing Here. Hackers Make Fake Applications pretending to be Some Social Messengers and When You Open them,Some RAT/Virus/Trojan is Executed. Cookies Stealing also known as Session Hijacking asks a victim to open a fake site and When the Victim is Online,HIs Cookies are sent to the hacker and While the Victim is online,his account's passoword is cracked and the hacker is inside his account. Read More About Cookie Stealing Here. Pharming is a derivate from phishing. Both use “ph” instead of an “f” and are part of a computer slang. Pharming seeks to obtain personal or private information through domain spoofing. In phisihing you are being spammed with malicious deceiving e-mail requests for you to visit spoof Web sites which appear legitimate. Pharming on the other hand poisons a DNS server by infusing false information into the DNS server, resulting in a user’s request being redirected elsewhere. Your browser, however will show you are at the correct Web site, which makes pharming a bit more serious and more difficult to detect. Phishing attempts to scam people one at a time with an e-mail while pharming allows the scammers to target large groups of people at one time through domain spoofing. Now, All the Hacking Ways I know are over,So Now comes the Question,How can you get Your Computer Protected against these attacks? How Do You Protect Your Site Against a DDOS or DOS Attack? DDOS or DOS attack only takes place on Web-Sites and Not on Particular Computers so Skip this if you don't own a Website or don't want to protect your site. A Distributed Denial Of Service (DDOS) attack is an attempt by a malicious party to prevent legitimate users of using your services. With a DDOS attack this is typically accomplished through flooding, a process whereby multiple clients generate traffic to your site that takes up all capacity of your site so it stops responding to legitimate request. There’s a number of solutions available against these type of attacks but they tend to be ineffective mostly because they’re either dependent on your own infrastructure or they are reactive meaning that they will respond after the attack has started. If DDOS attacks need to be blocked in/on your own infrastructure you will very quickly run out of capacity as the attacker can generate more traffic than your own infrastructure (firewalls, switches, load balancers) can handle. So anytime you’re dependent on blocking DDOS attacks in your environment you’re already too late, it needs to be stopped before it gets to your doorstep. Now if you have deep pockets there’s options available that run at the ISP level. They’re basically IPS/IDS like solutions that will detect anomalous traffic and blackhole this traffic. This will avoid the traffic getting to your infrastructure but these are expensive solutions that aren’t available to your run-of-the-mill website owner. So whats the solution to an attack that is capacity based? Have more capacity than the attacker. That sounds like a bad solution as you don’t have infinitely deep pockets to keep adding capacity for the unlikely event you’re being targetted by a DDOS attack. Fortunately there’s a very easy way of getting additional capacity beyond the means of any DDOS attacker: use a Content Delivery Network. A CDN is a proxy solution that can be used to deliver content close to a target group which offloads traffic from your website. There’s a number of services available like Akamai, Amazon CloudFront or MaxCDN. If you use a CDN and your site is being attacked with a DDOS attack is actually not your site being attacked but the CDN. And the CDN has tons and tons of capacity that no normal DDOS will be able to saturate. In normal circumstances the costs of using a CDN will be low enough not to give you any headaches but when a DDOS is mounted you will see a spike in traffic. This will generate costs as the CDN is responding to way more traffic than usual but your site is protected against the DDOS attack. The decision whether you want those costs is up to you but at least there is a sure fire way of countering a DDOS attack. If you’re willing to pay the price of a CDN you have every chance of surviving a DDOS. How Do You Protect Your Computer from Sniffing? A scary aspect of these tools is who can, and will, use them. As stated earlier, sniffers can be used for both legitimate and illegitimate purposes. For instance, a network manager can use them to monitor the flow of traffic on the network to ensure that the network is operating efficiently. However, sniffers can also be used by malicious users to obtain valuable personal information. Whether it is passwords or private communication, both crackers and co-workers can benefit from reading your data. Defending against sniffers, as with any other threat, needs to start from the top and filter down to the user. As on any network, administrators need to secure individual machines and servers. A sniffer is one of the first things a cracker will load to see what is taking place on and around their newly compromised machine. Another method of protection involves tools, such as antisniff, that scan networks to determine if any NICs are running in promiscuous mode. These detection tools should run regularly, since they act as an alarm of sorts, triggered by evidence of a sniffer. How Do You Protect Your Computer from Spoofing? E-mail Spoofing is the Most used spoofing technique used these days,To Protect yourself from Spoofing,take the same measures as you would use to avoid Phishing Traps, i.e , Don't click Links provided in the email that you are suspicious of.Do not give away your personal information to anybody pretending to be a legitimate source.Always be sure that you are on the right site while entering sensitive information such as Online Bank Account Passwords, Social Networking Site Passowords by Checking the Site's Webisite Certificate.On Google Chrome,If you are visiting the Right Site,the Address Bar will show a Lock Icon in Green Color, In the Same way, Go to the Paypal's Log-In Site and see if it Shows the Green Icon or not.You can Google to see More Ways of Protecting Yourself against Spoofing. How Do You Protect Your Computer From SQL Vulnerability? To Protect Your Site against the SQL Vulnerability, You have to understand the Whole Process in which it takes place,Because I can't Explain too much right now,I am giving you a Link from where you can learn about What Is SQL,How it Takes Place, and How to Get Protection Against it. Read all about SQL Here. Well,Now This is Too Easy to do task.To Protect Your Computer Against these dangerous things,The first and foremost step is to have a Good and Updated Anti-Virus.If You are a Windows Operating System User,then the best I could recommend you all is to have Microsoft Security Essentials Installed.If you don't prefer MSE then Given Below is a List of Anti-Virus that I recommend. If You Need any More, then You Can Google About it. How Do You Protect Your Web-Site From Brute-Force Attacks? Entering Passwords with Capital and Small Letters with Numbers and Special Characters can be a bit frustrating at times but remember its only for your Web-Site's Security. How Do You Protect Yourself from Secret Question and Social Engineering? To Protect Yourself from these attacks, Do not reveal your secret things like Sharing Your passwords with others and tell people about your past life until you trust them.Identifying Fake Profiles on Social Networking Sites can be easy.First,See the Person's Profile before accepting their friend requests.If they have started their account on the site recently and have lots of friends in their friend list,then beware! These Profiles are 100% Fake.Also See if they have the Same Profile Picture from the Beginning of Time (Fake Profile Holders really don't care about changing their profile pictures).And One more thing,do not share anything personal with the people you've added recently and if they directly ask you personal questions in a few weeks,I suggest you to block them. How Do You Protect Yourself from Cookie Stealing? The best way to protect yourself against a session hijacking attack is to use https:// connection (Hyper Text Transfer Protocol SECURED.) each and every time you login to your Facebook, Gmail, Hotmail or any other email account. As your cookies would be encrypted so even if an attacker manages to capture your session cookies he won't be able to do any thing with your cookies. How Do You Protect Yourself from DNS Poisoning or Pharming? Its a Really Big Article and You need to spare time to read this.You can read all about DNS Poisoning and How to Protect Yourself from Here. Given Below is the Table By Anti-Phishing Working Group (APWG) which contains some information about Phishing Attacks.According to their report,there were at least 83,083 unique phishing attacks worldwide in 190 top-level domains (TDLs) in the second half of 2011 .The attacks used 50,298 unique domain names. You Can visit the Official Site of Anti-Phishing Working Group Here. How can you spot a Genuine Links or URL? Given below are some tips you show know so that you don't get hacked in future. Genuine URLs will have SSL (Secure Socket Layer) Security.This can be spotted by reading the term "HTTPS" in the URL. Genuine URLs will have a Lock symbol and the right-hand side bottom of the page or in the address bar right before the URL.This signifies the Digital certificate. How Do You Spot a Fake Links or URL? Hover the mouse over a link before you click it.It will reveal the real destination in case the URL is a masked one. Beware of the Sign "@" in the URL as all the browsers ignore the characters before the "@" sign.For example the URL "www.facebook@wooder.com" will not take you to the original Facebook Webpage. Check the spelling of the URL carefully. Hackers sometimes change a single character to try and trick victims. For instance, many people will feel at first glance that “www.micorsoft.com” is the same as “www.microsoft.com”. Check if the URL of the page you are directed to is the same as that mentioned in the email. Read the link properly. For instance, the URL “www.apple.com.wooder.com” will not take you to the official Apple website. Ensure that the link does not start with an IP address. For instance, “http://198.162.256.56/wood/index.htm” is the kind of link that you must never trust. There are several services online which shorten URLs to cater to character count limitations. To avoid falling for fake shortened URLs you should use a service like “www.longurl.org” which reverses the process to show you the real destination. On another note, it is also advisable to not download any suspicious attachments. If it is necessary, you must download and scan them separately. If I am missing something then please comment below.